There are two kinds of academic book. The kind you borrow from the library because you are researching a topic and just have to have some kind of authoritative quotation on ‘x’, for which you trawl the index, find your relevant term, persevere with the whole chapter to understand the context, and then move on. And then there is the kind that you willingly spend your own money on, with the express intent of reading it from cover to cover for *gasp* enjoyment. I’m guessing most people find the majority of academic monographs to fall into the first category. I’ve had a good run lately of two books read from beginning to end for leisure, Carol Dyhouse’s history of glamour and Marah Gubar’s history of children’s literature. I’ll leave Gubar for a subsequent post. 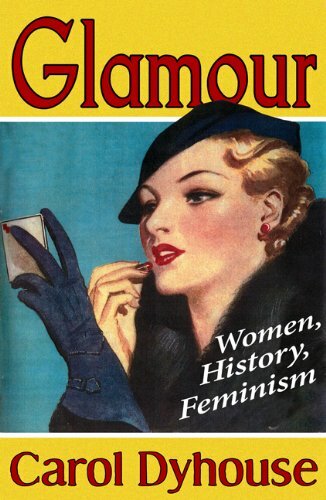 Carol Dyhouse was unfairly reduced to a name in my dissertation bibliography until I saw Glamour: Women, History and Feminism in a Zed Books catalogue. She has published several books on women and education, as well as the must-cite-in-literature-review Girls Growing Up in Late Victorian and Edwardian England, Feminism and the Family in England, 1890-1939. Dyhouse teases out what glamour encompasses, which she argues is not simply beauty or what is fashionable. Glamour speaks “of power, sexuality and transgression” (3). The fascinating first chapter on the origins of glamour shows its movement from a term referring to witchery to draw in ideas of the exotic. Advertisements from 1920s periodicals beautifully complement Dyhouse’s narrative, showing the allure of the orient. For instance, Shem-el-Nessim (The Scent of Araby) suggests “Oriental luxury”, while Wana-Ranee (The Purfume of Ceylon) “distinguishes the woman of taste”. The opening chapter also introduces one the central threads of the story of glamour: the rise and fall of women’s obsession with fur as a sign of luxury. Glamour then zooms in on the popularisation of glamour on the silver screen, noting a return to shapely figures in the 1930s “with three sets of twin heart-shaped curves: lips, bosom, behind” (38). Cosmetics, and even cosmetic surgery, were integral to carefully constructing the illusion of glamour, along with an attitude of sexual confidence. 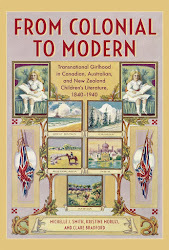 Dyhouse also considers how British girls and young women were influenced by movie star fashion and lifestyle in magazines such as Girl’s Cinema, Women’s Filmfair, Film Fashionland and Picturegoer. And who said the obsession with the lives of celebrities was a recent phenomenon? 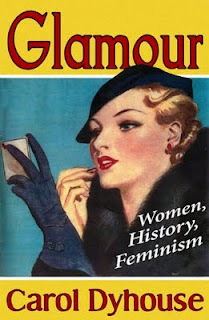 The book reads changes in perceptions of glamour alongside major historical transformations, such as that provoked by the Second World War with the emergence of the “New Look” (“a last look at a vanishing conception of femininity” (83). She also brings class differences to bear in her analysis, especially in considering the differences in how girls would be introduced into society and groomed for womanhood. Dress showed class credentials and gradually the dissolution of formal, matronly dress at the end of the 1950s (formerly a marker of appropriate class membership) allowed girls to wear more youthful clothing. The sweep through the second half of the twentieth century is equally grounded in social change from beauty pageants to women in the boardroom and grunge. Perhaps revealing my own “period bias”, I was most intrigued by the first two chapters grounded in the 1920s and 1930s, yet the story that Dyhouse has to tell is a must-read from beginning to end in the same way as a gripping novel. Sometimes popular reads dispense with scholarly rigour, but Dyhouse’s meticulous research is thoroughly detailed in her extensive notes and is evident in the wonderful examples she teases out. I was compelled to look up Evening in Paris perfume, created in 1929 by Bourjois, after reading that it still evokes vivid memories in the women who once wore it as young glamorous things, especially during World War Two. The sites that sell rare, unopened bottles of the scent show that one generation’s concept of glamour remains with them forever, even while ideals of femininity shift around them. Should we be stashing away Jean Paul Gaultier’s “Classique” in its corseted female torso bottles now in preparation for 2070?